Source: PanMacmillan Australia. Thank you! 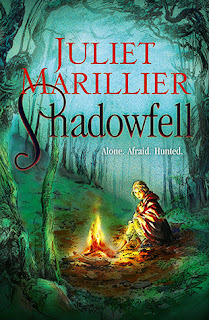 One thing I can definitely say about Juliet Marillier is that her writing is stunning. There's a nice flow to her words that make them easy to read- almost a lyrical tone, rather like reading a fairytale. 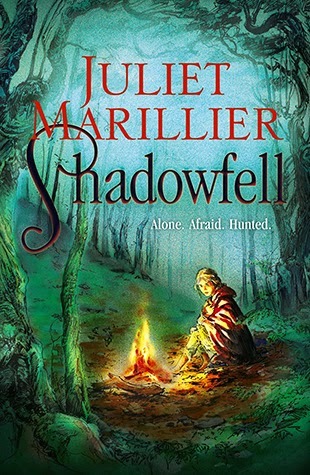 While there were a lot of new terms introduced (sometimes it was hard to keep track of the different creatures and things), I think overall, Marillier manages to create a very compelling high fantasy world. However, I do have to say that some of the dialogue was a bit difficult to interpret. There are a couple of characters that have accents (they kind of read like Scottish accents) and it's almost impossible to work out what they're saying in some parts. Still, I guess it added to the characterisation and world building, so I'm not totally against it. I learned that fear turned friend into foe in an instant, and I learned to keep secrets. From the start, you're (or at least I was) very curious to find out what the "extraordinary magical power" referred to in the blurb is. And in the first couple of chapters, there are hints of what it is. Man, every time a hint came up I was like JUST TELL ME DAMMIT. When the power actually is revealed (which is pretty early on, maybe chapter five or six), at first I was a bit disappointed that it wasn't something more awesome (like controlling fire or something haha)- but then I really thought about what the power meant, and how it could be utilised. And I realised that it's a very interesting power indeed. I definitely look forward to how it's going to be used in sequels. For some reason, I kind of like it when love interests don't look flawless. The first thing we see Neryn notes about Flint is that his face is "not a handsome face". Flint is a rather mysterious and fascinating character- to trust him or not to trust him...you can find out for yourself, I suppose. The pace is a bit slow. There's this section in the middle which feels like walking through a swamp, it's so slow. So I do have to admit that I was bored at times- and this is probably the main reason why I'm giving Shadowfell four stars rather than five. It just felt like the plot was dragging along- basically the entire story was Neryn walking around and encountering various creatures. And just when things start getting really interesting, the book ends! Well, at least I have a copy of the sequel ready. I do so love high fantasy so this book definitely interests me! :D I think I'll keep my eyes out for it. Great review, Nara! Your review made me laugh, because I do the same thing with books. I start yelling at the book when I want to know something. Later, when I find out what the thing is I am usually like "oh? is that all?" I thought I was the only one who yells at books! LOL! I'm not much fan of high fantasy books, but this one seems like a good one to read.Awesome review, Nara! I'm so glad you took the time to read this, Nara! :) I know a lot of people find high fantasy tough to read, because it tends to load with world-building, but that's what I love most! I'm definitely interested to see how Flint evolves as a character in the second and third books!